Maybelline has just launched a new line of Eye Studio Hyper Diamonds palettes in Watsons. These were released in Japan earlier in June. Retailing at $19.90 each, the palette design and shade combinations are very reminiscent of Kate. In the pic below (from top row to bottom): GY-1, BR-1, WN-1 and GN-1. 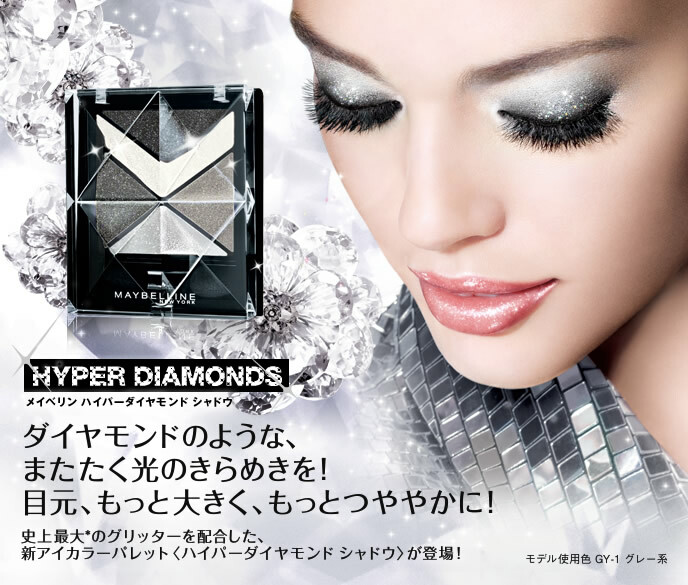 The Hyper Diamond palettes feature shades with varying textures. 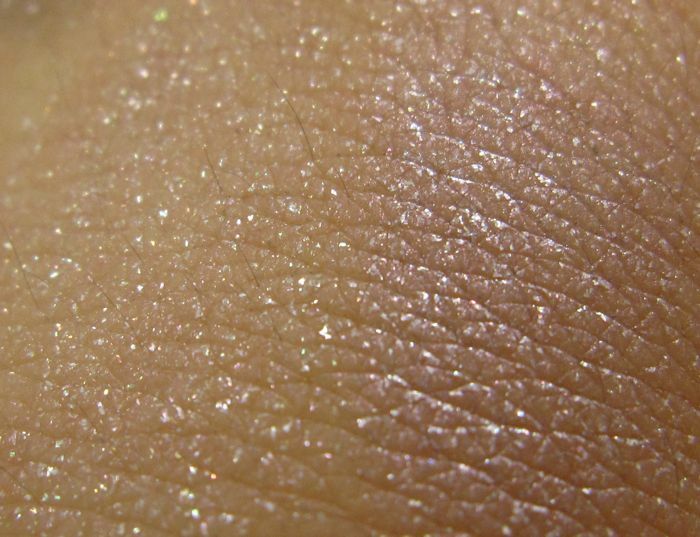 Some are more smooth with a intense metallic shine while some are more glittery sparkle and felt slightly dry and gritty. 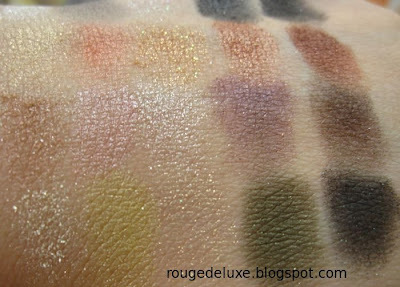 The GY-1 and BR-1 palettes swatched more intensely than the WN-1 and GN-1 palettes. 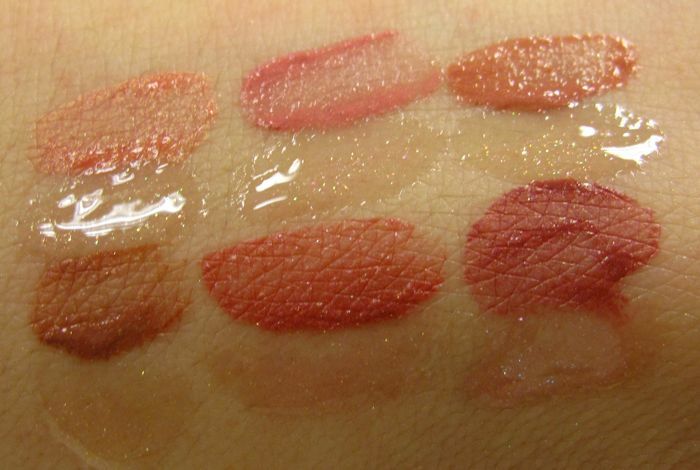 These swatches were done without any primer, with some shades needing two to three swipes to show up. Like the L'Oreal Open Eyes Chrome Intensity palettes, these are manufactured in China. 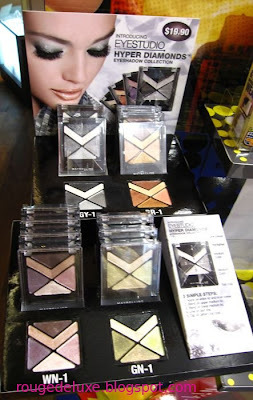 In terms of color payoff, the L'Oreal Chrome Intensity palettes are more pigmented and felt silkier. The Body Shop's popular warehouse sale starts tomorrow 31 August until Satruday 4 September from 10.30am to 8pm at the Suntec Convention Gallery West on Level 3. There is a special preview for members starting from 9.30am on 31 August. Expect savings of up to 70%. Happy shopping! 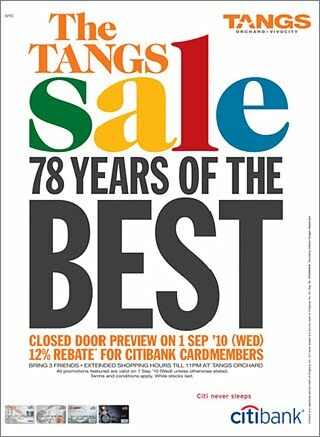 Tangs is holding a closed-door sale with 12% rebate for Citibank and Tangs cardmembers this Wednesday. Check out the sale brouchure here. Also came across the new Sonia Rykiel summer collection on display at BHG. 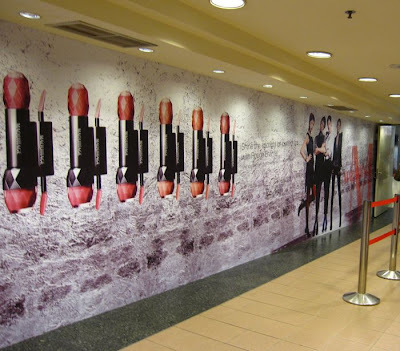 I think this is the lone Sonia Rykiel counter in Singapore. 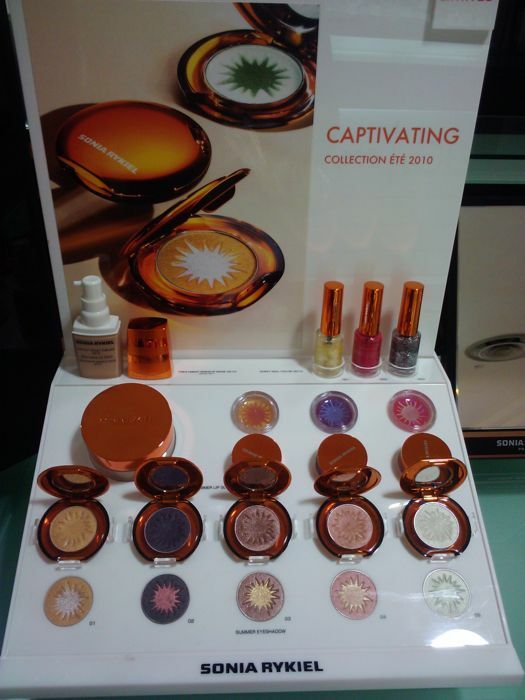 The eyeshadows in this collection retail for S$40 each but it's a pity that the sun motif in the centre is only an overspray and does not go all the way through. 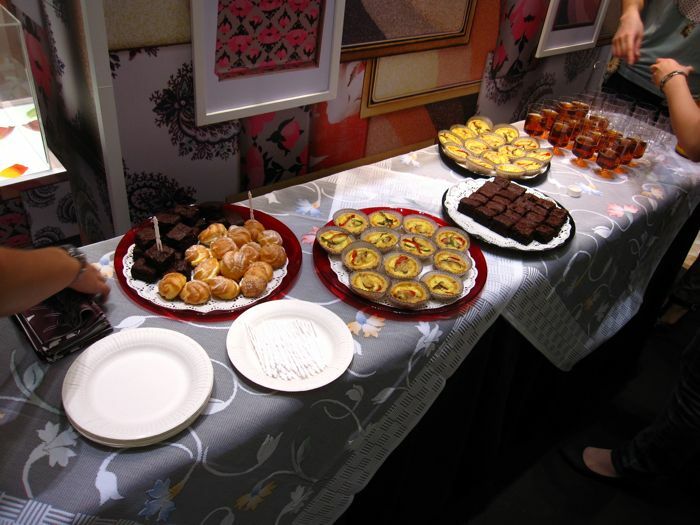 The texture is quite soft and silky. 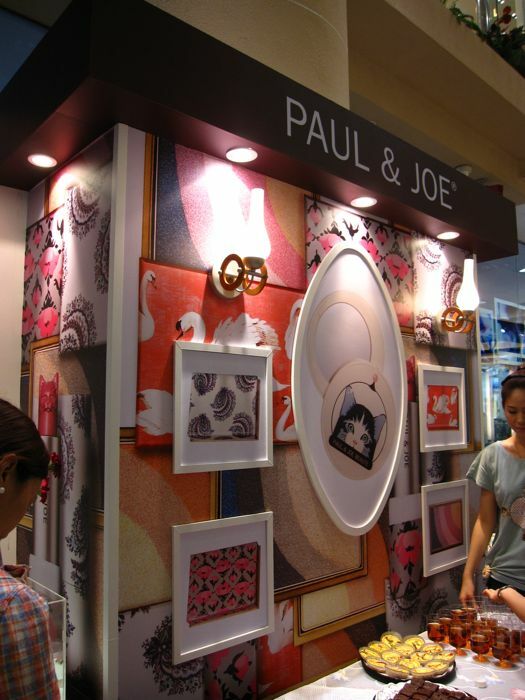 The Kosé counter in BHG at Bugis Junction currently has this lovely mirror as the gift with purchase of S$150! 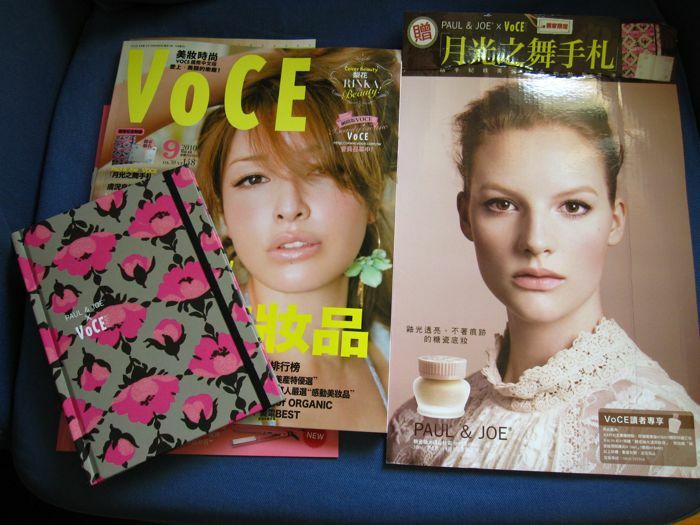 A couple of weeks ago, I came across the September issue of Voce (Taiwan) in Kinokuniya with a Paul & Joe notebook advertised on the cover as the freebie with that issue. 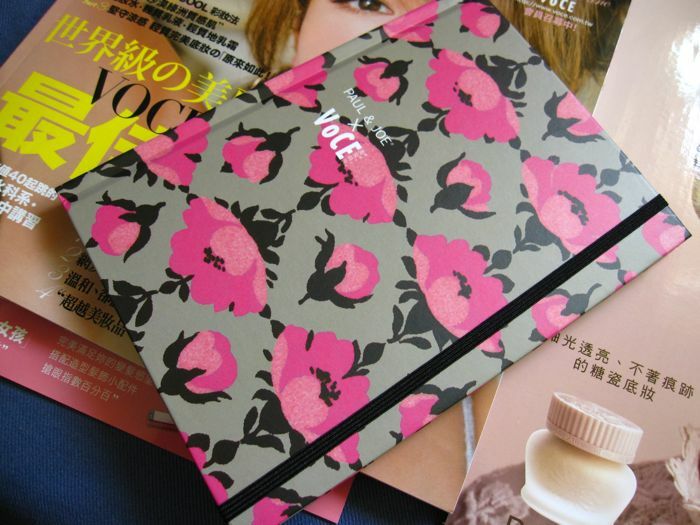 However, Kinokuniya did not have the notebooks for some reason. Yesterday, a reader told me that she had purchased the magazine with the notebook at the newsstand in Bugis Junction but when I passed by there this morning, it was not available anymore. 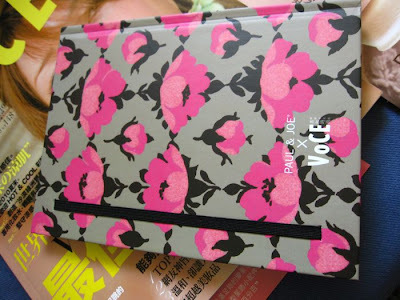 Finally, I managed to track it down at Page One in Vivocity this afternoon! The notebook is very well made with a sturdy hard cover. The magazine retails for S$12.50 at Page One. Want a chance to win a S$100 Kosé voucher? 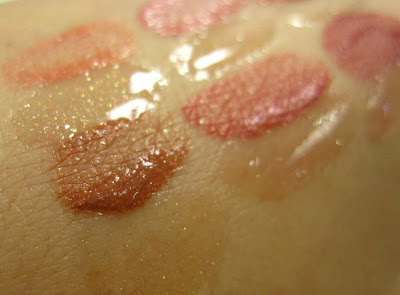 Just head on over to Chantana's blog for the contest! It's very easy and open to anyone living in Singapore. Do hurry as it closes at 12pm on 31 August! Yesterday, I attended the Paul & Joe party at Isetan Scotts for the new fall collection, Clair de Lune. 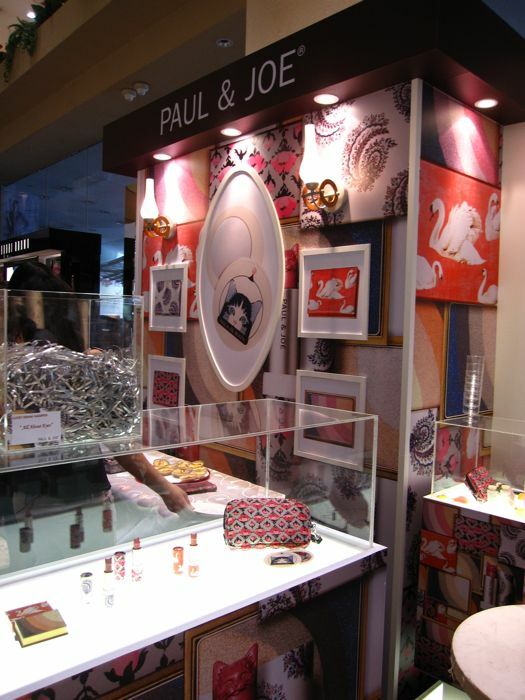 This was the collection that I had been looking most forward to for this season due to the lovely limited edition Face & Eye Colors CS, and of course the gorgeous prints that are Paul & Joe's signature. The collection has been selling very well at the Isetan Scotts counter since its launch on Friday. The collection is currently available exclusively at the two Isetan counters and will be launched at other counters from 31 August. 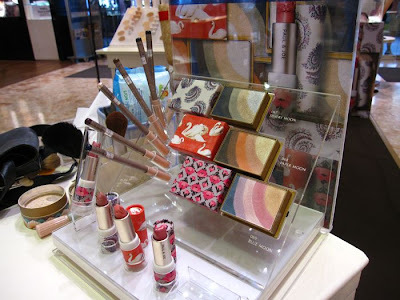 The Face & Eye Colors CS are S$49 each while the kitty head lipsticks are S$39 each. Larry Yeo was the makeup artist doing the demonstration. I had a fun time chatting with him before the show as we have a friend in common, Mag, who unfortunately was not able to attend. In his introduction, he said, "Don't call me a celebrity makeup artist. I don't do celebrities!" Larry was Elle magazine's Makeup Artist of the Year in 2009. He demonstrated how to create a day look and a night look. For the day look, first he used Eye Color Primer to prep the lids. 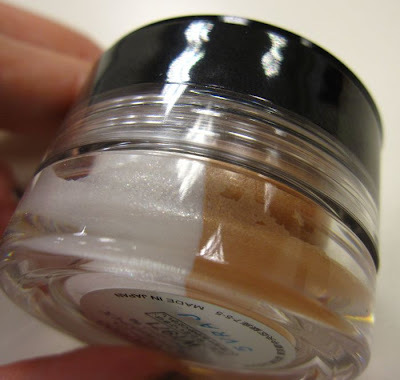 His tip was to dab the primer onto the back of the hand first, and then apply it to the lids, instead of dabbing it straight onto the lids out of the tube as that tends to deposit too much product. 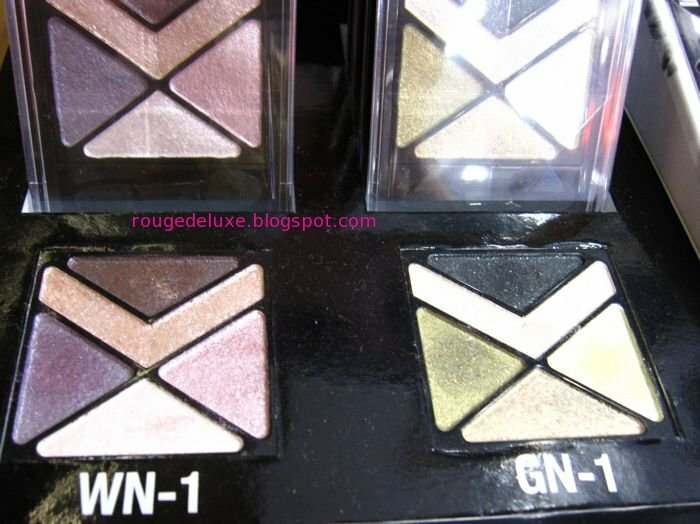 He also advised against using a white eyeshadow as the base all over the lid as it will affect the colour of the eyeshadows layered on top. A flesh-toned primer will look much more natural. 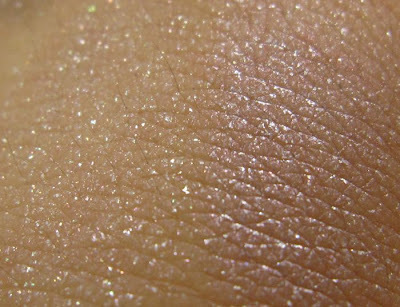 Next, he used an eyeshadow brush to apply the pink shade from 069 Blue Moon over the eye socket area. 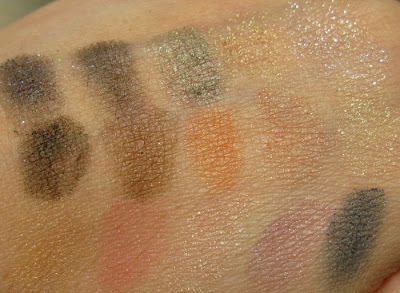 He prefers using fluffy brushes which help to apply the eyeshadows evenly. 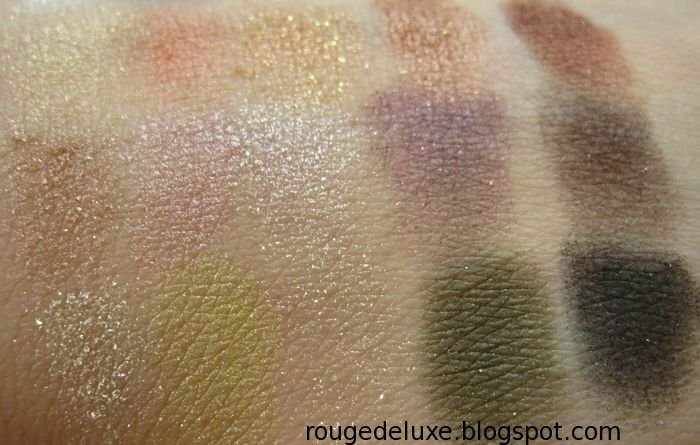 After picking up the eyeshadow with his brush, he taps off the excess on the back of his hand first before applying it to the lid. This helps to ensure that there isn't excess powder bits flying all over the place. 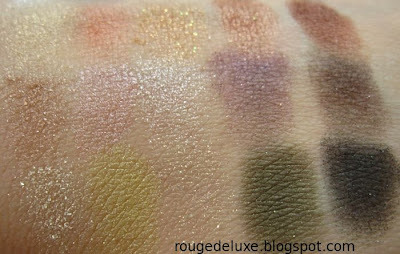 Next, he brushed the purple shade over the browbone area to highlight. He finished off the day look lining the eyes with an eye pencil and using his finger to apply a bit of the gold eyeshadow at the inner corners. 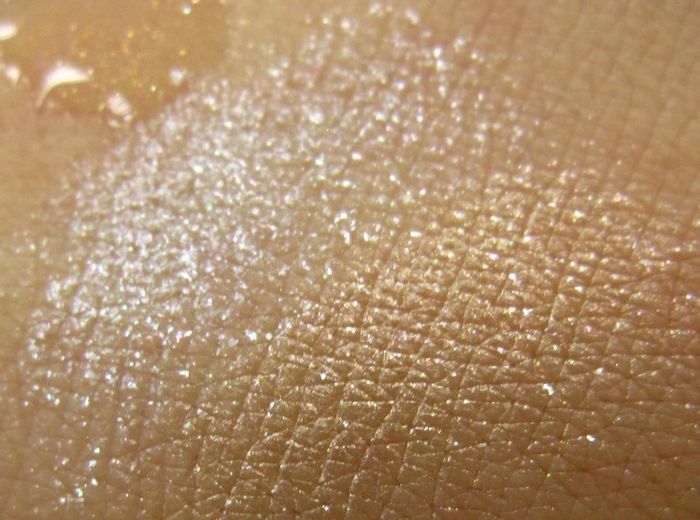 He advised against using shimmery white eyeshadow to illuminate the inner corners because it can look like you have gunk there instead! For the lips, he used a peach Lip Pencil Duo to first define the lip shape before shading it in, and then topped it off with a quick coat of golden lipgloss. His tip for applying lipgloss: using a lip brush, start at the centre of the lips and then smooth it outwards. Next, without cleaning off the day look (aside from blotting the lipgloss off with tissue), he showed how to transform it into an elegant smoky look for the night. 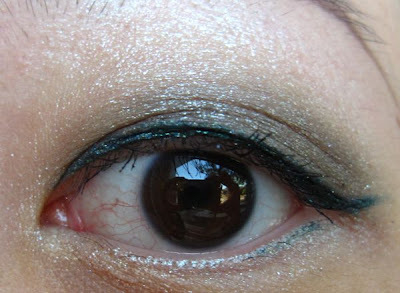 First, he used an Eye Pencil WP from the upper lashline to the crease. The eye pencil is waterproof so one has to be quick in blending it out before it sets. 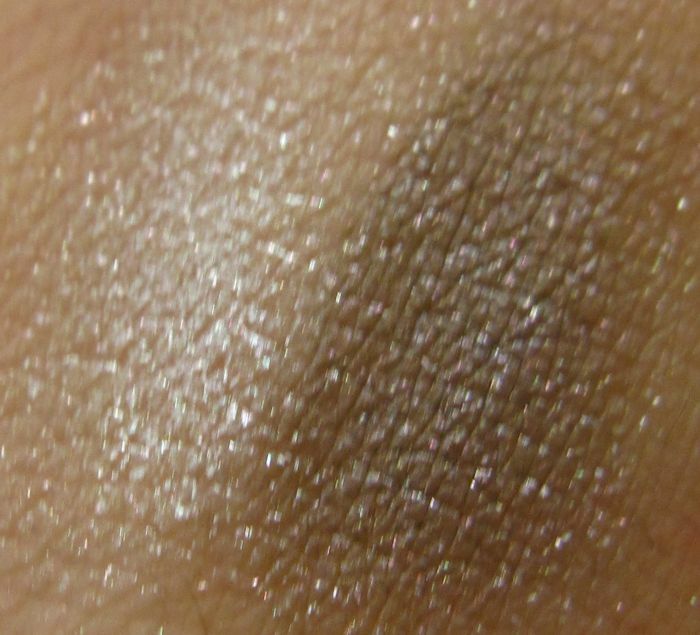 Next, he used a dense brush to blend it out before applying the dark shade from 067 Silvery Moon on top and blending it further for a lovely smoky effect. 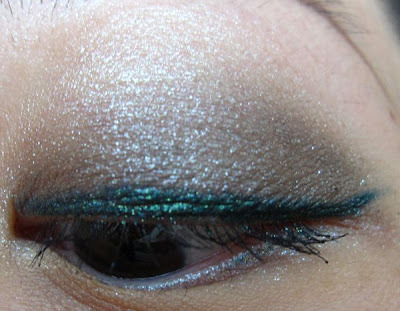 He also applied the green shade just above the outer crease and intensified the eyeliner. He stressed that when applying eyeliner, it should be applied very close to the roots of the eyelashes without leaving any visible gap of skin. For ladies with dark under eye circles, Larry advised against using blue eyeliner as that will actually emphasise the dark circles. He also preferred brown eyeliner over black. 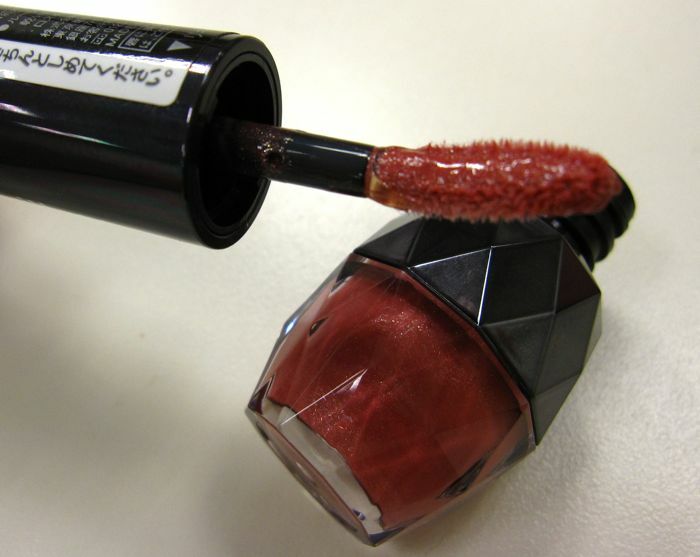 For the lips, he applied one of the lipsticks from the new collection, also using a lip brush. To add a glowy finish, he took a small powder brush, swept it across the middle three shades of 069 Blue Moon and dusted it at the temples and upper cheek area. Both the day and night looks were very pretty, and Larry made it all look so easy! There were also two sets at promotional prices. If you spend S$120, you will receive the pouch. 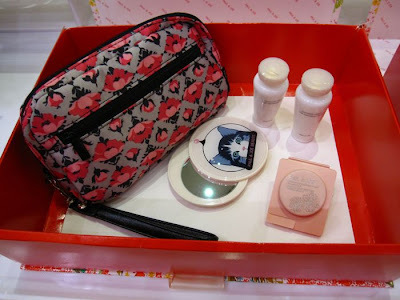 If you top up to S$150, you will also receive the mirror and the deluxe samples. 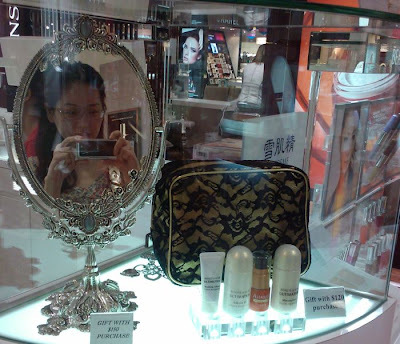 However, the mirror went out of stock very fast at the Isetan Scotts counter yesterday. 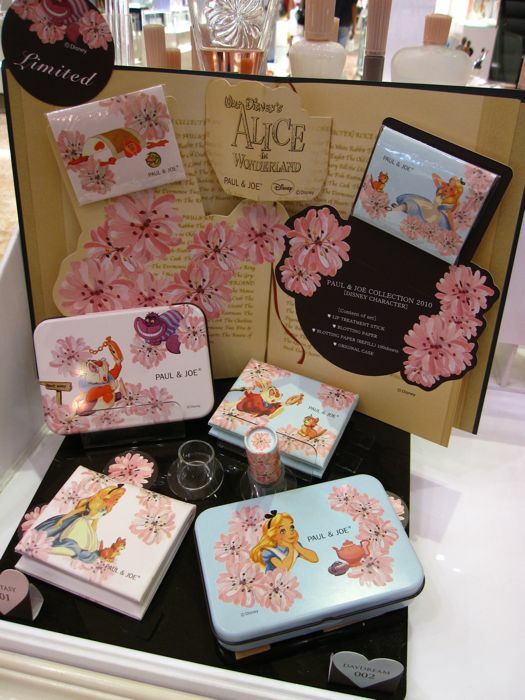 The same pouch and mirror is also available at the counter in Wisma Atria so you can try your luck there if you want it. The Alice in Wonderland set was also on display. These had earlier sold out very quickly in Singapore. The new stocks are the leftover stocks from Malaysia. 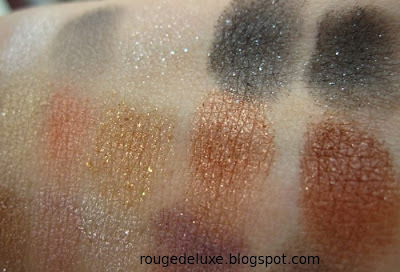 Here are some quick swatches of the three Face & Eye Colors CS. 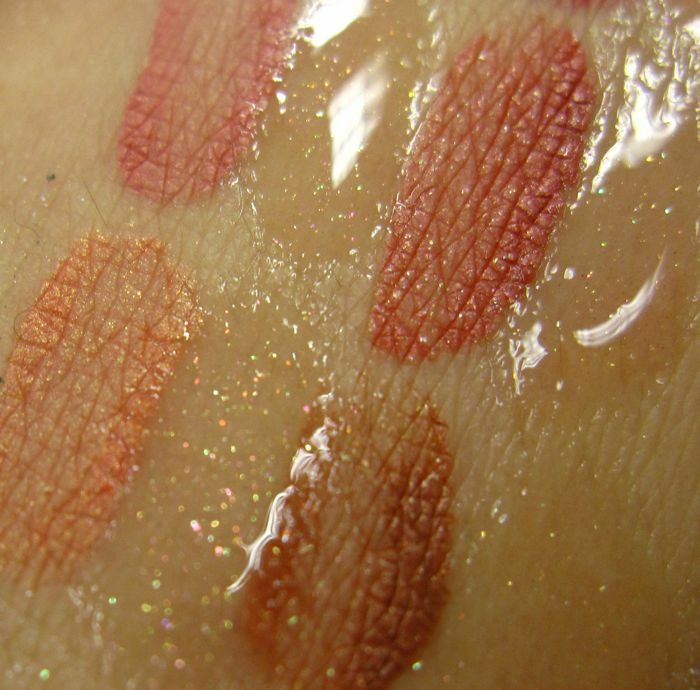 From top row to bottom: 067 Silvery Moon, 068 Paper Moon and 069 Blue Moon. 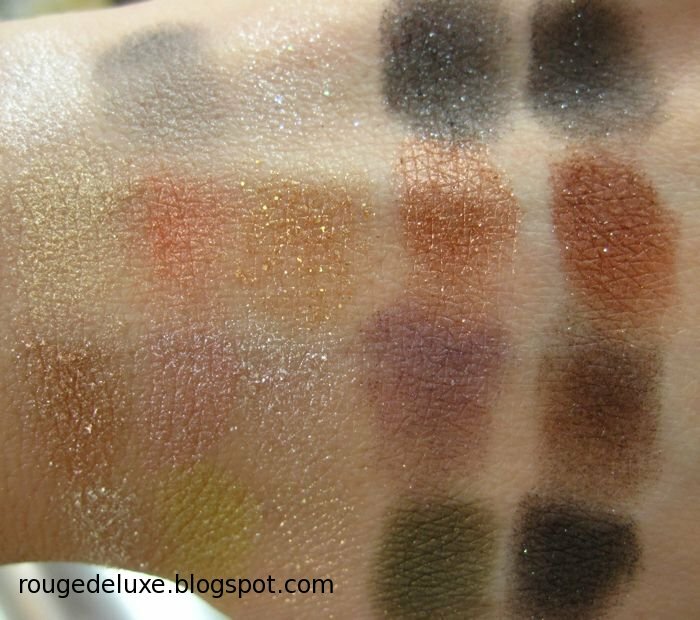 The silver and gold shades at the upper right corners are very shimmery and sparkly, while the rest of the shades are more velvety with a soft metallic sheen. These swatches were done without any primer underneath and surprisingly, virtually all showed up well with just one or two swipes. If you have used the underground walkway between Wisma Atria and Ngee Ann City over the past few days, chances are you would have noticed the Maquillage Fall 2010 collection ad visuals featuring ICONIQ. The collection is having an exclusive launch at Takashimaya this weekend. 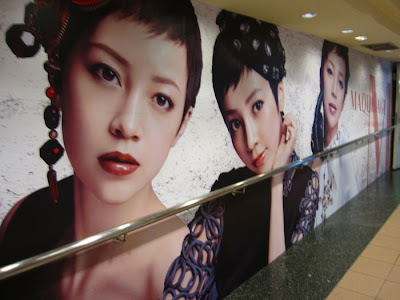 With purchase of S$100, you get to enjoy a makeover, hairstyling and photoshoot. If you spend S$148, you will also receive a White Lucent deluxe skincare sample set and a pouch. 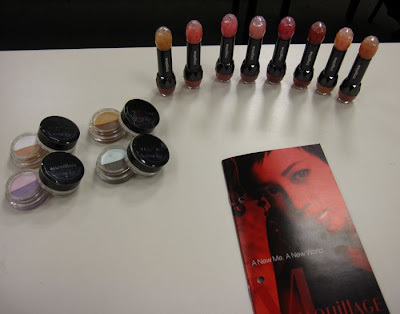 Earlier, I got a sneak preview of the collection at Shiseido's office and played around with the new Rouge Enamel Glamour and Dual Glow Eyes. The Rouge Enamel Glamour (S$43) look similar to Maquillage's multi-faceted nail polish bottles. 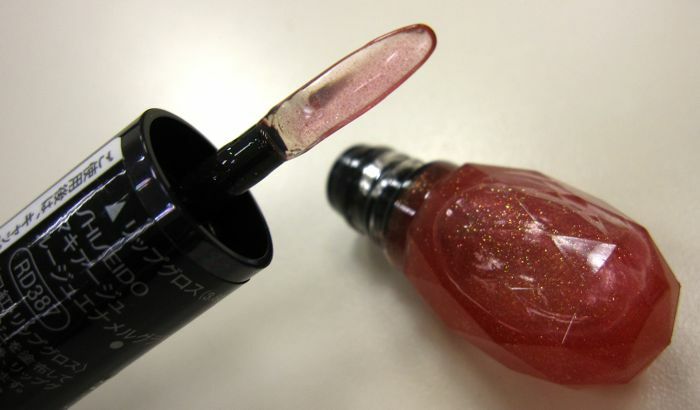 The fatter end holds an ultra-long lasting lip colour while the other holds a high shine lip gloss. 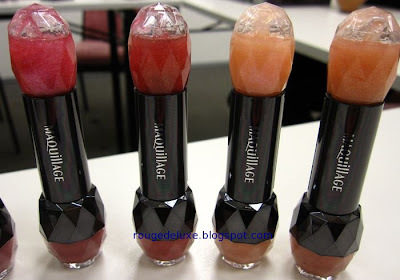 The lip colour comes with a spoon shaped sponge applicator while the lip gloss comes with a plastic applicator. After applying the lip colour, it is recommended that you wait one minute (without pressing the lips together) to allow the colour to set, before applying the gloss on top. This will help the lip color to last longer even after the gloss has worn off. The lipglosses are all on the sheer side with just the barest tint of colour. The two pics below were taken after about 10 minutes. 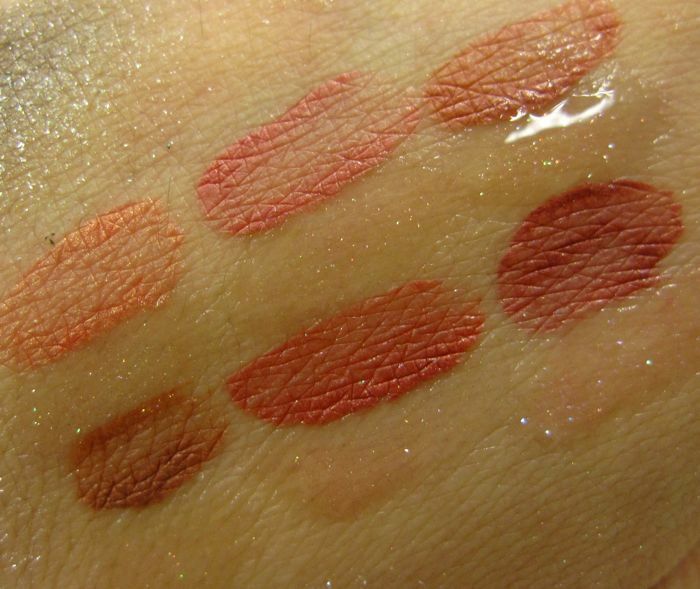 The lip colours look slightly more matte after they have set. The new TV CM for Rouge Enamel Glamour. The Dual Glow Eyes (S$40) are available in five variations, of which four are shown below. 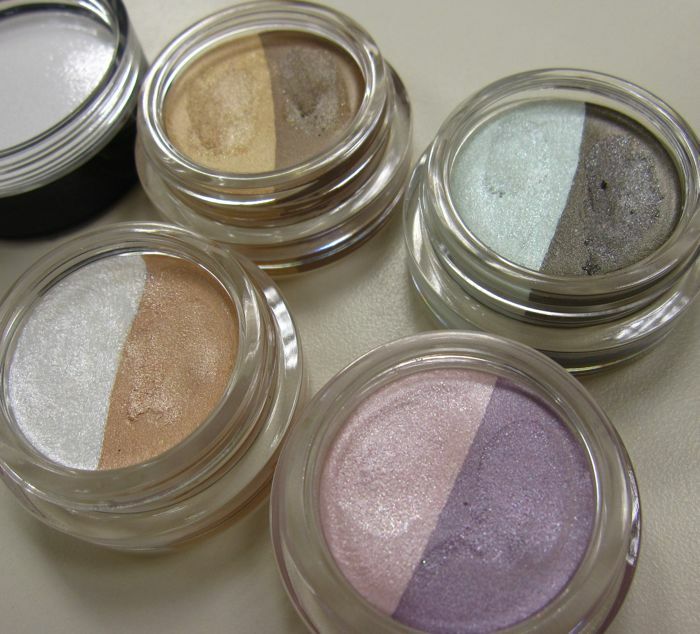 These are cream eyeshadows that dry to a smooth powder finish with a lovely shimmer. They actually contain mineral water sourced from the Mount Fuji area as well as hyaluronic acid for moisturising benefits to help prevent fine lines. 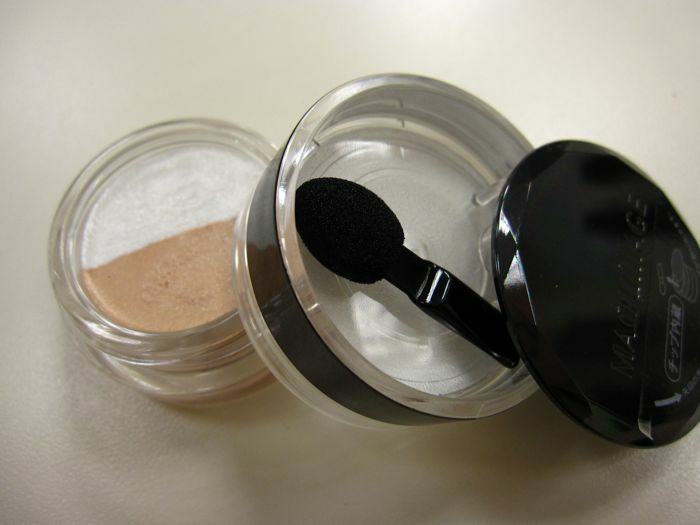 The black cover slides open to reveal a sponge applicator inside. I've found that applying with fingers is actually much easier and gives a more even application than using the sponge applicator. To be honest, I wasn't too excited about these at first sight but I was pleasantly surprised by how pretty they looked when swatched! 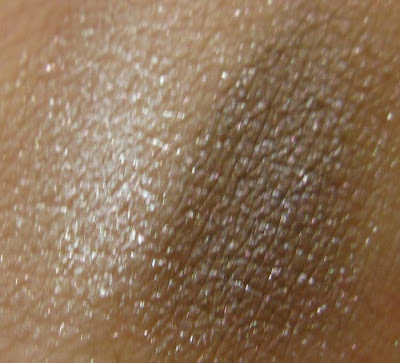 Here's a simple look that I did with GR273 with the light shade from the crease to the browbone area and the darker shade from the upper lashline to the crease. Both shades were easy to apply and blended seamlessly. 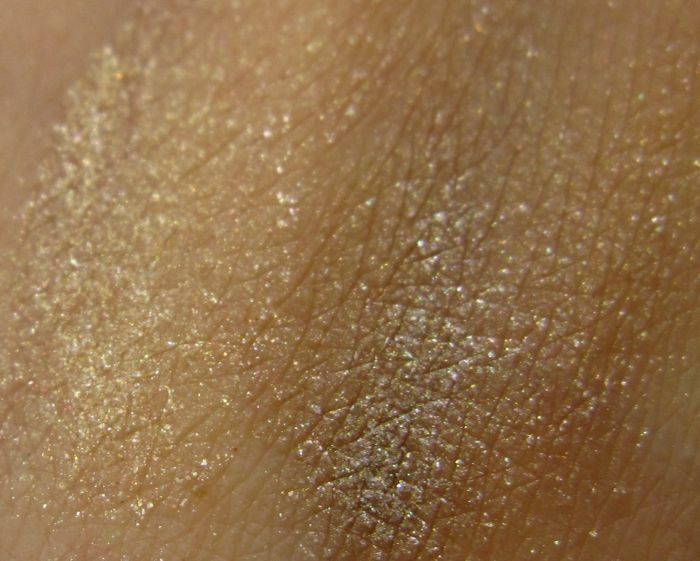 The eyehadows lasted well over several hours of wear without fading or creasing (I used Urban Decay Primer Potion underneath). 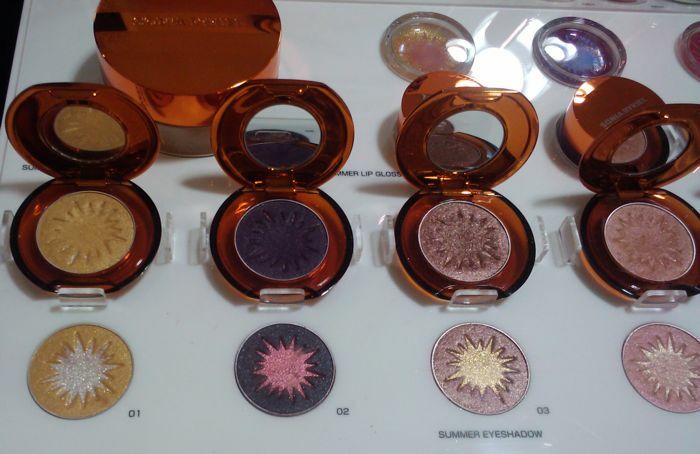 The Dual Glow Eyes will be very convenient for travel as you don't need brushes to apply these. 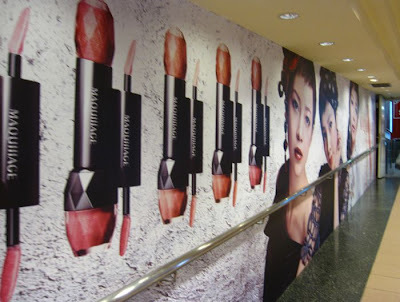 Do check out the Shiseido Facebook page for information on promotions and contests!